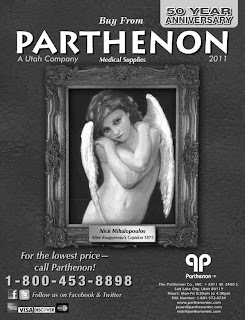 Since the very beginning of Parthenon we have printed an ostomy catalog and 2011 is no different. Although it may grow or shrink in size depending on the comments from our customers, we do everything we can to provide the tools they need to order their ostomy supplies. The Parthenon catalog includes ConvaTec, Hollister, Coloplast, Nu-Hope, Cymed, Marlen, Torbot and more! All the brands and hard to find items that you know and demand at the lowest price!